If you have been following my progress on the St. Croix painting, you've probably noticed that it's slowed down recently. Lately much of my time is being spent on preparing my studio space for winter. I have been blessed with good help in wiring and insulating (John Apitz pictured) so that I can continue painting in the coming months. 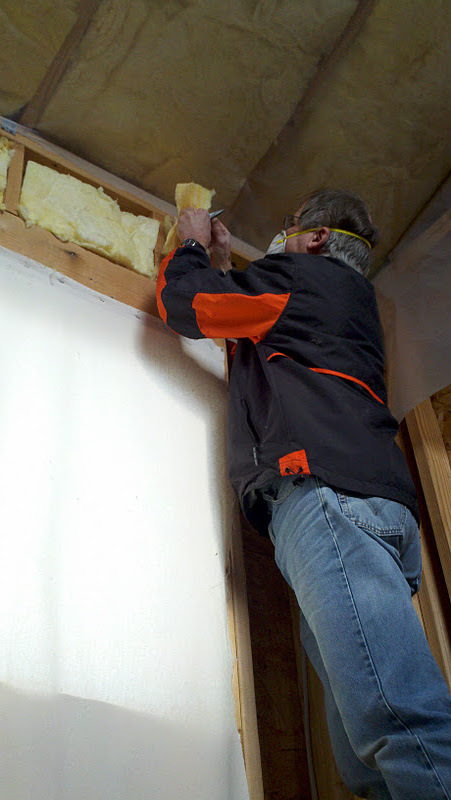 Insulation is nearly finished and the heat will be hooked up soon. Then it will be back to painting!